O.P. 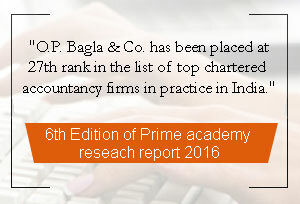 Bagla is a member of Institute of Internal Auditors (Delhi Chapter) since 1974 (International Head Quarters at Florida, USA). Mr. O.P. Bagla was also in taxation and company law committee of PHD chamber of commerce. Mr. O.P. 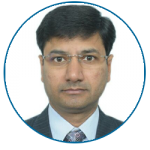 Bagla has a vast experience and his area of expertise is audit, internal audit, financial consultancy and planning. 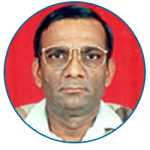 He is actively involved in strategic planning and is advisor to large industrial houses. V.K. 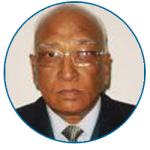 Jain is vested with experience of 40 years and he has expertise in Direct Taxation work. He represents all major client before tax authorities. He is actively involved in representing the client before CIT (Appeals) and Hon’ble ITAT and he has been instrumental in passing of various landmark judgment of the appellate authorities. 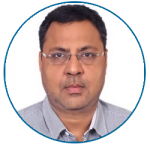 Rakesh Kumar with an experience of over 25 years is actively involved in audit (Statutory and Internal) of big business houses, PSUs and banks. Besides audit he has good experience in project consultancy, company law matters and management consultancy. His area of specialization is assurance and company law. He also has vast experience of compliance of regulations of RBI related to NBFCs of the clients including core investment companies. Atul Bagla has post qualification experience of more than 20 years. He is looking after statutory audit, internal audit, management consultancy and project consultancy for large business houses. His other area of specialization is ERP implementation and designing of accounting and MIS systems. He has also completed necessary course of Institute for IFRS implementation and is also having practical experience in this line. 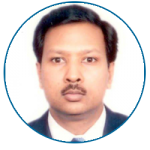 Atul Aggarwal is a fellow member of the Institute having experience of more than 20 years post qualification. His area of specialization is Statutory Audit, Internal Audit and MIS Reports which include preparation of monthly financial statements, inventory accounting and other planning for the clients. 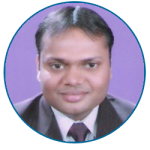 Mr. Atul Aggarwal is also holding DISA qualification of ICAI. Mukul Bagla is vested with experience of 20 years and he has expertise in Direct Taxation work in respect of issues related to Domestic Taxation and International Taxation. He represents all major client before tax authorities. He is actively involved with PHD Chamber of Commerce & Industry and is the Co-Chairman of the Direct Tax Committee of the PHD Chamber of Commerce & Industry and has organized and participated in various seminars related to various aspects of the Income Tax Act. His area of specialization is Cross Border Investments and providing consultancy on International Joint Ventures. He deals extensively in issues related to withholding taxes. He is actively involved in preparation of transfer pricing studies and representing clients before Transfer Pricing Officer. 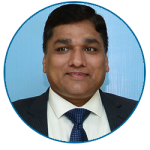 Neeraj Agarwal has rich experience in the fields of assurance, regulatory and financial consulting. He has over 19 years of experience in his areas of practice and is actively involved in strategic planning and advising for large business houses. His area of specialization is Statutory Audit, Internal Audit due diligence audit, designing of MIS reports and budgetary control system. He has also conducted investigation audits. He is also certified for forensic accounting and fraud detection by ICAI and has successfully investigated number of assignments. R.M. Bansal is a fellow member of the institute. His area of specialization is Statutory Audit, Internal Audit and MIS Reports which include preparation of monthly financial statements. 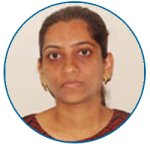 Mrs. Neha Agarwal is a fellow member of the institute. Her area of specialization is Statutory Audit, Internal Audit and MIS Reports which include preparation of monthly financial statements. 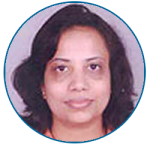 Mrs. Priya Mahesh Gandhi is a fellow member of the institute. Her area of specialization is Statutory Audit, Internal Audit and MIS Reports which include preparation of monthly financial statements. 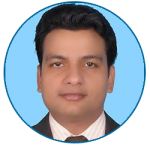 Nitin Jain is a Fellow Member of the Institute has experience of over 9 years. His area of specialization is Statutory Audit, Internal Audit and designing of MIS Reports. 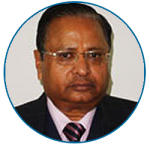 He is actively involved in review of monthly financial statements, budgetary control system and other planning for various clients of diversified industries. He is also involved in statutory and concurrent audit of large PSUs and banks. Nitin Jain has qualified DISA course of ICAI. He also gained Diploma in International Financial Reporting form ACCA (The Association of Chartered Certified Accountants), UK. 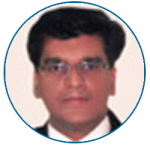 Sanjeev Agarwal is vested with experience of 8 years and has expertise in Direct Taxation work. He is involved in tax advisory services and represents all major clients before tax authorities. K.S. Shukla is a fellow member of the institute. He provides expert guidance and supervision for various audits like statutory audits, internal audits, tax audits, due diligence, management audits. He is leading various projects on Internal audit and risk advisory. He effectively engages with his clients in providing solutions around design and operating effectiveness of business process controls. 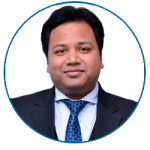 Ekansh Garg with over 6 years of experience in assurance, business process risk consulting and financial due diligence, has worked with multinationals and Indian business houses across a range of industries. 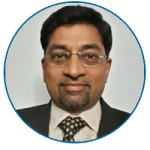 He regularly interacts with the senior management and audit committees of large corporations and provides thought leadership in the areas of enterprise risk management and corporate governance to organizations in various industries. He is also certified for forensic accounting and fraud detection by ICAI and has successfully investigated number of assignments.